An interdisciplinary, facilitated & self-directed learning opportunity. Available face-to-face in Thunder Bay and via OTN to clinicians in NW Ontario. 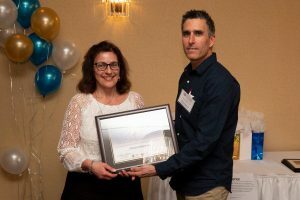 On Thursday, May 10 and Friday, May 11, the Northern Ontario School of Medicine hosted its annual Preceptor Awards and Recognition event. 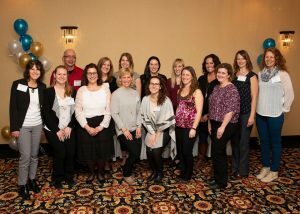 The event honoured preceptors in the Health Sciences and Interprofessional Education Unit at NOSM, including physiotherapists, occupational therapists, speech-language pathologists, audiologists and dietitians. 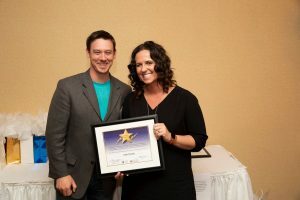 This year’s awards focused on preceptors working in Northwestern Ontario. 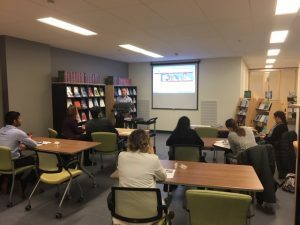 This workshop was offered throughout the Fall of 2018 to Northern Ontario health care professionals who are interested in becoming involved with clinical teaching activities and who have limited or no previous teaching experience in the clinical setting. 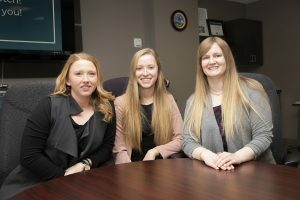 Thank you to McMaster University students Lea, Kennedi and Shana for a great presentation on their Speech-Language Pathology role-emerging placements in Thunder Bay! The students were the first to complete the new placement opportunity through the Northern Ontario School of Medicine. 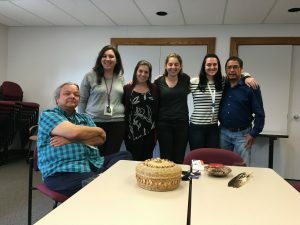 A new placement is bringing occupational therapy and physiotherapy students to the Anishnawbe-Mushkiki Aboriginal Health Access Centre in Thunder Bay, where they will focus on addressing the needs of Indigenous clients. Read the full story here. 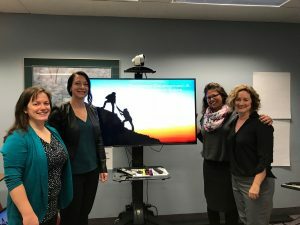 The Northern Ontario School of Medicine collaborates with FIREFLY Child and Youth Development Services to fill new Speech-Language Pathologist clinical education opportunities in Keewatin-Patricia District FIREFLY and Kenora Chiefs Advisory have partnered to fill five new full-time Speech-Language Pathology positions through Jordan’s Principal funding. 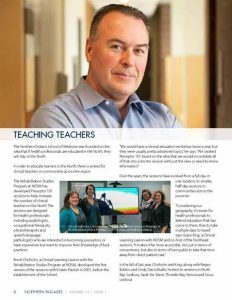 The Northern Ontario School of Medicine in turn partnered with FIREFLY to facilitate clinical externships for Speech-Language Pathology graduate level students. 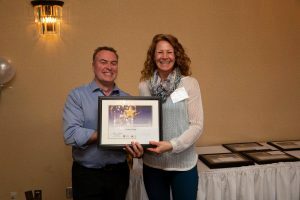 FIREFLY Children and Youth Development Services, located in Kenora, Ontario, provides services to children and families living in the district of Kenora and area as well as multiple far north, fly-in communities. Through the collaboration, FIREFLY and NOSM are hoping to expand service to better serve children living in rural and remote areas, specifically Indigenous communities. communities. Learners will have also had the opportunity to work with professionals unique to Indigenous communities to understand roles and gain skills to work collaboratively with a wide variety of professionals. 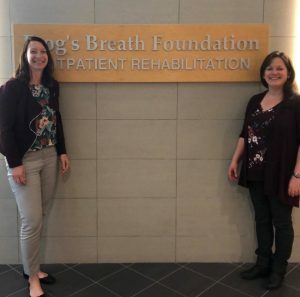 The Rehabilitation Studies Program at NOSM has developed Preceptor 101 sessions to help increase the number of clinical teachers in the North. 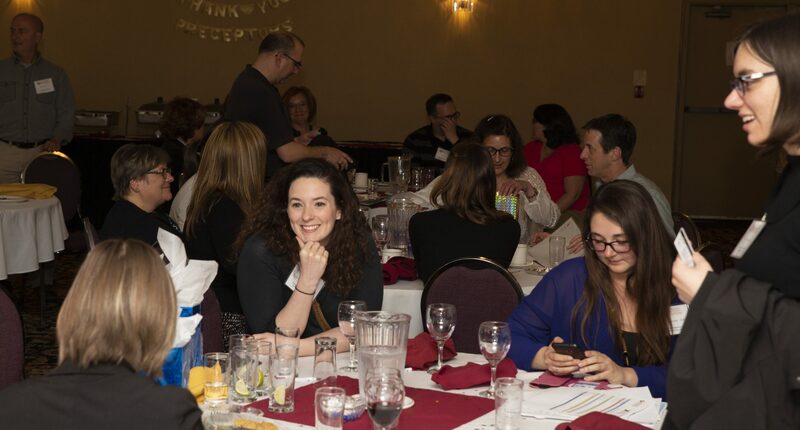 The sessions are designed for health professionals including audiologists, occupational therapists, physiotherapists and speech-language pathologists who are interested in becoming preceptors, or have experience but want to improve their knowledge of best practices. Northern Passages is a quarterly publication which conveys news about NOSM’s multi-faceted activities. Its broad coverage informs and entertains with detailed commentary on program development, conferences, profiles, and other information germane to the School and its Northern stakeholders. Read the latest issue of Northern Passages here. THRIVE Child Development Centre/Centre de développement de l’enfant is an incorporated, non-profit Children’s Treatment Centre employing over 50 staff made up of Occupational Therapists, Physiotherapists, Speech-Language Pathologists, Social Workers, Therapy Assistants, Early Childhood Educators and Administrative support staff. We provide inter-disciplinary pediatric rehabilitation, respite care coordination, an on-site inclusive child care program and resource support to community child care centres in Sault Ste. Marie and the Algoma District. Our philosophy of service delivery upholds family involvement and enablement as an integral part of effective intervention. Our services support the long-term outcomes of community participation and quality of life. Looking for a Full-Time position with a great work life balance in Northern Ontario? Then this is your opportunity to practice to your full scope with a varied client base which includes hospital, long-term care, community and primary care. The successful Physiotherapist candidate will be responsible for planning, organizing, implementing and controlling the administrative and therapeutic activities of all Rehabilitation Services to ensure than an optimal level of services are available to the Hospital, Community and LTC while enjoying quality of life in Northern Ontario. To assess and treat inpatients and outpatients in compliance with the Red Lake Margaret Cochenour Memorial Hospital’s policies and procedures and the College of Physiotherapy Standards of Practice, and as outlined in the position description. For a full description of the position, please contact the undersigned. applying a broad range of skills to your work with patients/clients. Health Sciences North (HSN) is currently recruitment Permanent and Temporary Full-Time Physiotherapists across a number of departments. Applicants successful to permanent full-time or temporary full-time positions with a term of one-year or greater may be eligible for the Ministry of Health & Long Term Care’s (MOHLC) Rehabilitation Professionals Incentive Grant Program. Geraldton District Hospital is seeking an enthusiastic, organized and self-motivated individual to join our Rehabilitation Services Team to provide clinical physiotherapy services to inpatients, long term care residents and outpatient clients. Geraldton District Hospital is seeking an enthusiastic, organized and self-motivated individual to join our Rehabilitation Services Team to provide occupational therapy services to inpatients, outpatients and long term care residents. This is an exciting opportunity for a Physiotherapist looking to practice to their full scope of practice with a varied client base which includes hospital, long-term care, community and primary care. The Physiotherapist is responsible for planning, organizing, implementing and controlling the administrative and therapeutic activities of all Rehabilitation Services to ensure that an optimal level of services are available to the Hospital, Community and LTC. Rehabilitation services include but are not limited to physiotherapy, occupational therapy, and recreational therapy. The incumbent also provides all of the program’s physiotherapy treatment and services. Sioux Lookout Meno Ya Win Health Centre is a small, state-of-the-art community hospital in rural Sioux Lookout, Ontario. We aim to be a Centre of Excellence in First Nations and northern healthcare by working together to improve the health status of individuals, families and communities now and for generations to come. 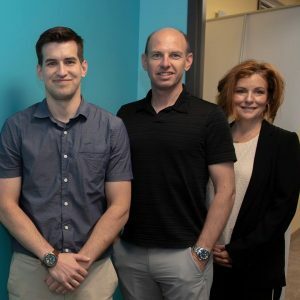 We are the healthcare hub for remote northwestern Ontario, continuously growing and innovating to meet the needs of our 30,000 patients spread across over 600,000 square kilometers of sunset country. If you value compassion, respect, quality, teamwork, and are dedicated to excellence in your profession, this picturesque setting is the next step in your career! New graduates are welcome to apply!!! We are an established fast paced, multidisciplinary private clinic for over 28 years. We have an Orthopaedic caseload including MVA, and sport patients. We are offering a competitive salary and continuing education is available and supported. FIREFLY is growing! Consider living in one of our picturesque communities in Northwestern Ontario. Each of our communities are located in the heart of the boreal forest with easy access to lakes and great outdoor living. FIREFLY is seeking four full time Speech Language Pathologists to work in Kenora/Rainy River Districts and in First Nation Communities in the Kenora District. Reporting to the Clinical Manager, the Speech Language Pathologists will engage in the screening, assessment, interpretation and home programming of infants, children and youth with communication impairments. Duties will include caseload management, assessment, treatment planning, consultation, caregiver (home & school) training, and acting as a resource for other FIREFLY staff, partnership staff and community agencies as well as attending unit and service meetings. Additional opportunities can be considered based on experience and interest. You will work with a dynamic multi-disciplinary team. Individuals filling these positions will benefit from the availability of additional SLPs working within the Agency and access to a mentor. Travel to outlying areas within the Kenora District will be required. FIREFLY is growing! Consider living in beautiful Kenora, located on Lake of the Woods or picturesque Sioux Lookout located on the shores of Abram Lake. Reporting to the Clinical Manager, the Physiotherapist will provide assessment, development and implementation of treatment programs for clients referred to FIREFLY. You will be required to develop and implement treatment plans based on initial and ongoing assessments while acting as a resource for families, other FIREFLY staff and community agencies. You will liaise with the Rehabilitation Service multi-disciplinary team to provide program coordination. Travel to outlying areas within the Kenora/Rainy River district will be required. FIREFLY is growing! Consider living in beautiful Kenora, located on Lake of the Woods. FIREFLY is seeking two full time Occupational Therapists to work in the Kenora/Rainy River Districts. Reporting to the Clinical Manager, the Occupational Therapist will engage in the screening, assessment, interpretation and rehabilitation of infants, children and youth with occupational performance issues such as sensory processing issues and fine motor difficulties. Duties will include caseload management, assessment, treatment planning, consultation, caregiver (home & school) training, and acting as a resource for other FIREFLY staff and community agencies as well as attending unit and service meetings. Additional opportunities can be considered based on experience and interest. You will work with a dynamic multi-disciplinary team. Travel to outlying areas within the Kenora District will be required. If you’re a dynamic Physiotherapist interested in personal and professional growth, Santé Manitouwadge Health has an excellent opportunity for you to meet these goals. As a flexible, enthusiastic and personable team player focused on client-centred care and clinical outcomes, you will flourish in a team-based, results-oriented and collaborative environment like ours. Your primary focus will be community working with a vibrant team consisting of RN’s, Dietitian, Social Worker and Physicians. Our unique model also affords you the opportunity to work within hospital setting as well. The diverse integration of this role is an exciting opportunity for growth in both the community and hospital setting. For more information please visit. Full-Time Physiotherapy_Oct2018. St. Joseph’s Care Group in Thunder Bay ON is currently recruiting for a variety of temporary full time Physiotherapists to join our team. St. Joseph’s Care Group is known for living its values of Care, Compassion and Commitment. We are continuing a tradition that began more than 130 years ago of meeting the unmet needs of the people of Northwestern Ontario. We believe in investing in our people, and offer learning and development opportunities, continuing education, competitive compensation, and a welcoming workplace culture. 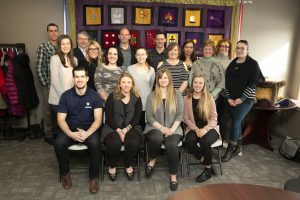 St. Joseph’s Care Group offers a wide range of programs and services in addictions & mental health, rehabilitative care, seniors’ health as well as contracted services within acute care. Qualified candidates must be registered or eligible for registration with the College of Physiotherapists of Ontario and have proven assessment, communication and teaching skills. We welcome experienced practitioners as well as new graduates to consider joining the staff of a progressive values-driven organization. To learn more about the position and apply, please visit: www.recruitment.sjcg.net and click on the “Health Care Professionals” tab. patients can transition back to the community or to a lower level of care. We are a faith based organization guided by the core values of Service, Integrity, Dignity and Excellence with a focus on a culture of caring. If you share a genuine commitment to the wellbeing and care of patient, please consider joining our team of dedicated professionals. To learn more about the position and apply please visit this CCC.job-ad.Physiotherapist.2019-01-17-ID-14336-1.